Valleywide is currently seeking an experienced Water Mitigation Technician with experience in sales and leadership. Valleywide is a drug-free workplace and an equal opportunity employer. This job entails water extraction, structural drying, odor removal, detail structural cleaning and sanitizing, fire damage cleanup, and complete decontamination. We also offer full service general contracting including demolition, rebuild and overall remodeling. 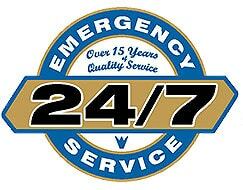 Perform other restoration services as needed rotational on-call schedule. Adhere to all company Policies & Procedures per the Employee Handbook. Administrative duties will require daily & weekly project paperwork reporting. *Please Note – if you do not possess the minimum qualifications, please do not apply. Please submit your resume via email with job pay history and references. Candidates with excellent sales backgrounds are encouraged to apply. Valleywide Restoration is a well-established disaster restoration contractor with a 17 year reputation for excellence as an industry leader has a full-time business development representative position available in Mesa, Arizona. We are looking for a professional with a demonstrated history of successful selling to help us achieve our next stage of growth. This is not a high pressure sales position. Your success will be based upon developing long lasting business relationships. Travel daily, majority of time is spent on outside sales calls, may be required to work occasional evenings and weekends. Identify and initiate contact with target customers such as insurance agents, insurance adjusters, plumbers, realtors, and commercial outlets. We expect persuasive written and verbal communication skills to be present in all potential candidates. Experience selling to insurance agents, small service contractors, property and facility managers/property owners also very helpful. We offer salary commensurate with experience, commission, transportation and phone allowance. Must have a valid Arizona driver’s license and reliable transportation. Ability to pass a background check and drug screen. If you’re ready to be part of a growing company that appreciates individual accomplishments, please complete the application below.